Human Design is the “Science of Differentiation” also referred to as the “Mechanics of Liberation”. Human Design is a holistic view of the individual’s genetic predisposition to differentiate. We are each born with the potential to reach complete differentiation. By realizing this potential, we are able to free ourselves, i.e. awaken from the illusion of our separateness. Human Design in its simplest form is all about correct decision-making; how to make decisions in our life from a place within ourselves which allows us to live out our true purpose and potential (differentiation), rather than making decisions based on mental conditioning (homogenization). 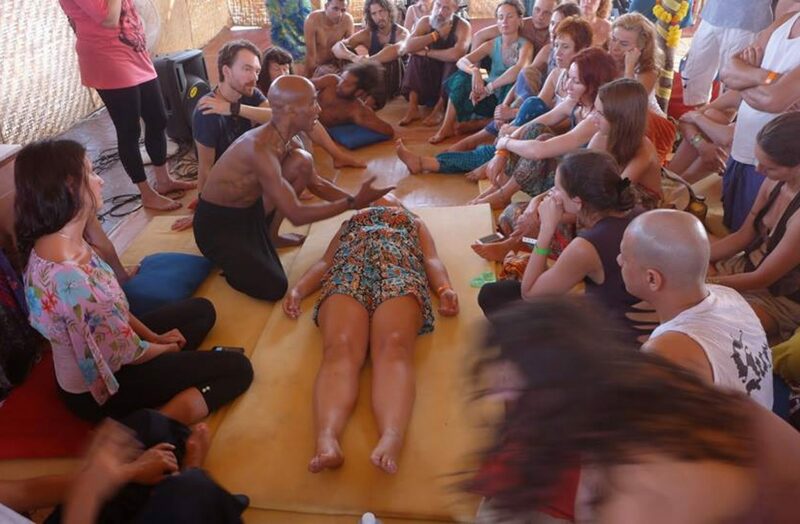 TyeZan offers experiential workshops and several types of Readings based on Human Design. The Foundational Reading is used to align you to your underlying energetic frequency so that a transformational process at the cellular level can begin. By finding out which energetic TYPE you are a member of, (there are 4 – Manifestor, Generator, Reflector and Projector) for example, you can give yourself the proper “fuel” (STRATEGY) needed for you to live out your unique predisposition to differentiate. The Foundational Reading will also show you where your quantum decision-making intelligence (INNER AUTHORITY) lies and guide you on how to recognize and honor this innate intelligence so that all decisions you make are correct for you and are not based on mental conditioning. In addition, you will learn where your “superhero” powers lie as well as all the challenges which keep you from living out your true potential in this life time (GENETIC MAPPING). A foundational Reading takes between 1 ½ & 2 hours. Each Reading includes an audio (mp3) copy of your reading and a copy of your body graph. “I had the pleasure to experience a personal reading by TyeZan. I entered the session with no preconceived notion nor specific knowledge about this modality. I was literally blown away. TyeZan established beautifully the set up for the session by explaining the basis of the reading. I was most impressed with how grounded, comprehensive & thorough the process is … and the fact that it is based on scientific validation. TyeZan is both comfortable & thorough with his material. Similar in some ways to an astrology reading, the premise is that each of us has our own unique human design or frequency. The session is about discovering what your own unique & personal *frequency* is, and then like a guitar string, tuning the frequency so that you are in harmony with your own quantum intelligence.